Nordic Tattoo: Drums in viking age scandinavia? Drums in viking age scandinavia? 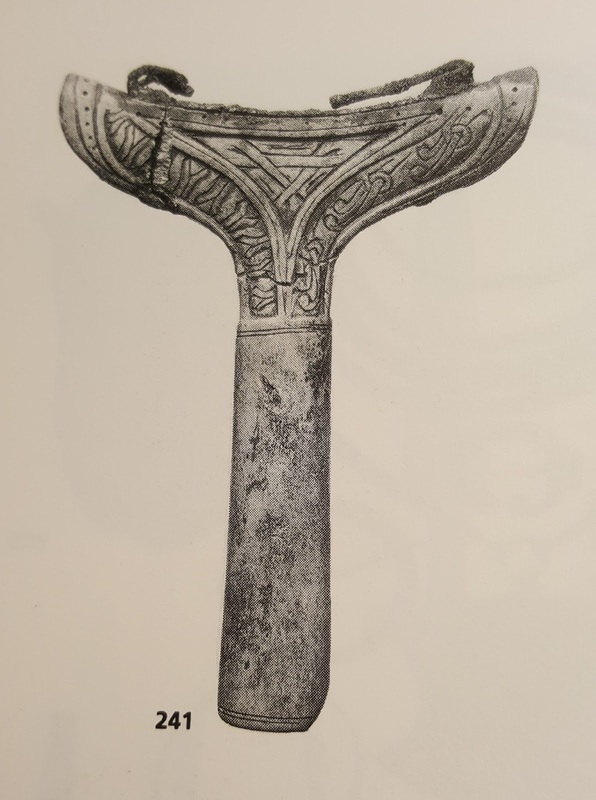 This Hammer- shaped instrument is a ca. 1000 years old drumstick of the Sami- people, scandinavia s indigenous population. Weirdly enough it was found in Rendal, Hedmark, wich is norvegian coreland, far south of the first norse capital, Nidaros. Woven patterns are not rare in sami art, but here we can see the so called Ringerike-style, a very clear sign of "viking" influence. It implies together with more historical and archaeological material that sami and norse culture was interwoven and the to the circumpolar group counting Sami people lived quite far south among the norsemen. We find skeletons with Sami genetic markers in rich Viking graves. A norvegian word for the Sami drum is "Runebømme" (Rune-drum) hinting at the rune-like symbols on the drums. Ibn Fadlan unmistakable writes that the norsemen put a drum in a temporary grave with a dead man: "...they took out the dead man...I saw that he had turned black because of the coldness of the land. They had put nabidh (arabian for fermented fruit drink) in the tomb with him and fruit and a drum. They took all this out..."